Arctic Wolf And Moon Faux Fur Blanket - Queen | BUDK.com - Knives & Swords At The Lowest Prices! 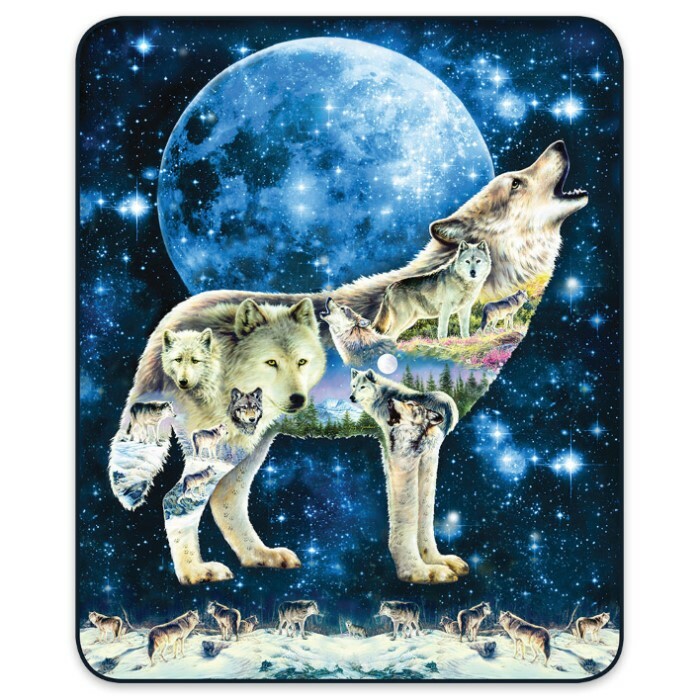 A striking piece of original art, our Arctic Wolf And Moon Faux Fur Blanket features a howling wolf on a vibrant night sky and full moon background. The plush, faux fur medium-weight blanket will keep you snug as a bug and let you display a fantastic work of art worthy of your wall. The vivid and color-saturated officially licensed design is lush and eye-catching. It will look great on your couch, recliner or as a bedspread.